Over 300,000 viewers on stream & on site, 4 teams in the fight for the title & a € 5000 prize pool. The ACC Masters of eSports sponsored by LIWEST ​​promised to be an exciting event even before the big offline final. With DZ Legends and MBL two local heroes were at the start. Team Euronics Gaming were present with their scene darlings Broeki and Pandar. The icing on the cake was Gamer Legion, who started the tournament as big underdogs. For high tension was taken care of in advance. On the first day the group matches were on the program. Everyone against everyone in a best-of-one format. Here it was already evident that surprises can happen anytime. DZ Legends, chosen among the players as a top favorite, surprisingly lost to Euronics Gaming and MBL. They were only able to compete in the match for third place on the final day against the team which ended up pointless, namel Gamer Legion. 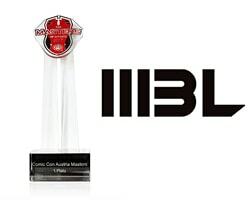 In the final, MBL made it to the title after a strong performance against Euronics with an overall score of 3:1. The tournament was not only a success for MBL, but also for Austrian Force. The prize money of 5,000 € is a new milestone for us and another step in comparison to the previous year. In addition, we were able to get a seat on the Twitch Frontpage for the whole weekend. This allowed us to inspire on average 1700 spectators with a mean high of just over 3000, in addition to a value of 300,000 unique clients who have clicked on our stream! In addition, we were able to upgrade the stage in comparison to the previous year due to the larger space available and thus bring the phenomenon closer to the spectators of eSports. This event sets new standards for us and is again another big step forward in the development of the Austrian eSports scene. That’s why we want to thank all the AF members and external helpers who helped us with the smooth running of the event. Additional praise goes to our stand supervisors, who brought the eSports closer to the visitors with a cool drink outside the eSports area! A big thanks goes also to the sponsors! Without you there would be no events like these!